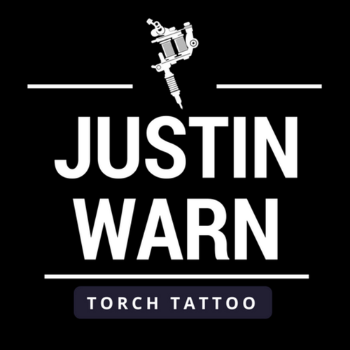 Justin Warn has been a professional tattoo artist for almost two decades and is the proud owner of Torch Tattoo located in Anaheim, California. Since opening its doors in 2010, the shop has had the pleasure of hosting guest artists and clients from around the world as well as the shop's own talented artists who make the shop a friendly and relaxed place to get a high-quality tattoo. Justin is known for his detailed black & grey tattoos, but is comfortable working in all tattoo styles.